I know today is all about the best deal but I don't do Black Friday. I'm not a big fan of shopping in the first place, so when you add in a bunch of crazy consumers - some of which have camped overnight - who are prepared to take out anyone who stands in their way of a sale, that just sounds like a recipe for a miserable experience. For those of you who brave the crowds, more power to you! Anyways, if I were to go shopping on Black Friday, here's an outfit I'd sport. Notice the comfort factor? Now that I've put together this outfit, I kind of really want to recreate it in real life! Are you a fan? If you're blogging about fashion today, head over to Long Distance Loving and Blonde Episodes and link up. 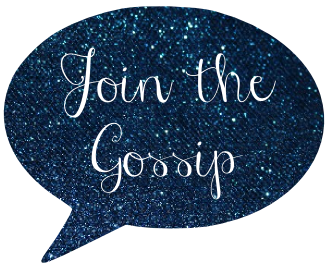 It's a great way to get to know other bloggers! 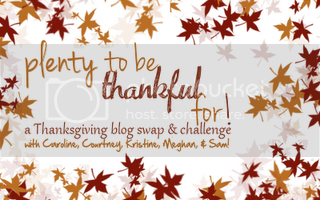 I'm also linking up for Plenty to Be THANKful For blog challenge. Today's theme is Black Friday and leftovers. I'm thankful that I won't be experiencing Black Friday this year but WILL instead be chowing down on my fav leftovers like turkey, fried green beans covered in garlic and vinegar (so much better than it sounds), mashed potatoes, and cheesecake! I like the outfit you put together and how there is a pop of army green in it. It is a perfect casual look! i'm not a huge shopping fan either - i would rather cozy up by the fire today and enjoy the day off! p.s. you're done xmas shopping? that's awesome! hope it's a great holiday weekend! I love that green shirt! Too cute. I don’t do Black Friday either. It’s just not worth it to save a few bucks. Prices are low and sales remain all month long. I'm staying home today and shopping online. I love the outfit! You could wear that any day! My dad makes fried green beans like that but adds bacon. Soooo good! Oooh, I am dying for that outfit - especially that sweater! Tres gorgeous! that's a great gift for your parents! i'm not doing any black friday shopping--too much chaos. That looks like the PERFECT Black Friday outfit. I don't live in the U.S. so no shopping here...wondering if the deals really are THAT good? i didn't go either...too ridiculous. earrings + bracelet + boots = fabulous. good thing you didnt do black friday in LA, you might have gotten pepper sprayed by that crazy lady! I love that green blouse. I am a fan! Very comfy and chic and I am STILL obsessed with stripes so I love that sweater! Cute outfit to shop in. did you have great success. Hope you had a great Thanksgiving. i'm all about the comfort girl, so i'm lovin' your choices of a black friday spendage. i am so proud of myself and only bought one thing that day which was a sweater that was 60% off. go sales! Love that outfit! It's so cute and comfy! I did brave those crowds and am going to do a post on it today! cute! i totally have the same taste. I didn't go anywhere but have bought a few things online like a camera, etc. happy thanksgiving!! nice choices, love them all!!! i so love your blog, following you now, hope you could visit my blog too..kissess!!! That's similar to what I wore on Black Friday! But I only went to Macy's in my local neighborhood so it wasn't so crowded but I definitely went for the comfort factor too lol. Very cute outfit! I'm holding out for Cyber Monday. Cute! Love the blouse and cardigan. loving those black boots! hope u had a nice thanksgiving girl! Black Friday is all about comfort. I probably looked like a homeless person in the outfit I wore out shopping. Fried green beans sound yummy! That was so sweet of you to get football tickets for your parents. I hope you had fun at the game!